The Graduate Program in French Studies offers a dynamic curriculum that focuses on a contextualized understanding of the languages, literatures, and cultures of France, Québec and the Francophone world. Students may specialize in literature or linguistics, or propose a research program combining both fields. The PhD program in French and Québécois literatures was established in 1957. The 15 faculty members have a wide compass of research. The department offers a co-tutelle doctoral program in conjunction with French universities. This credential allows students access to academic positions in both North America and Europe. Named after one of UBC's first MA students, the Dorothy Dallas Doctoral Fellowship is awarded to meritorious students specializing in 17th or 18th French literature. The PhD prepares students for a teaching and research career at the university level. 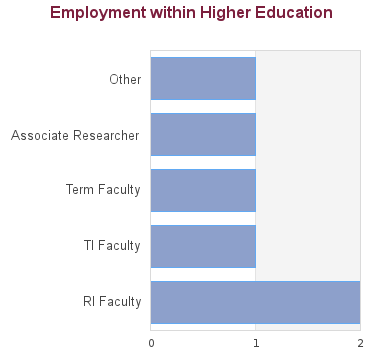 Recent PhD graduates from the department have obtained positions at various universities, such as the University of Lethbridge, Mount Royal College, Lakehead University, Carleton University, Mount Alison University, University of South Carolina, Rhode Island College, University of Aberdeen, and the University of Otago. Former students have also obtained positions in the public sector, such as the Ministry of Foreign Affairs. This program has a graduation rate of 45.45% based on 11 students admitted between 2005 - 2008. Based on 5 graduating students from the 2005 - 2008 admission cohort the minimum time to completion is 4.66 years and the maximum time is 6.33 years with an average of 5.36 years of study. All calculations exclude leave times.